"It's prom season! To celebrate this exciting time of year and also to spread the love for A PROM TO REMEMBER by Sandy Hall, Swoon Reads and Fierce Reads are joining forces to throw a YA Prom! I actually really like this dress that I've just worn for two weddings in a row now....shh... no one at #YAPromToRemember needs to know! I've most commonly seen these being used for weddings, and I don't imagine that when I was in high school my parents would have been down with renting me a trolley for the night, but for my #YAPromToRemember?! Totally. 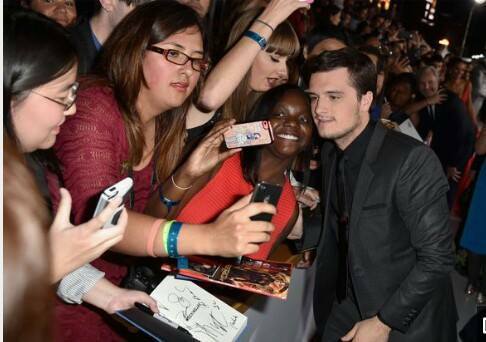 Peeta! Peeta Mellark will always be my #1 book boyfriend, and thus is the boy I'd take to my #YAPromToRemember. I'm sure he would get a night off from the bakery to attend prom. 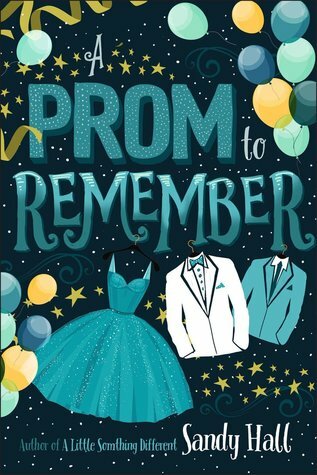 Search the hashtag #YAPromToRemember on Twitter to see some more prom photos! Learn more about A PROM TO REMEMBER after the page break. A Prom to Remember, the newest book from Sandy Hall (author of A Little Something Different) is a funny and cinematic look at the biggest dance of every high schooler's life.